Just a few things in my mailbox over the past week. No synopsis. 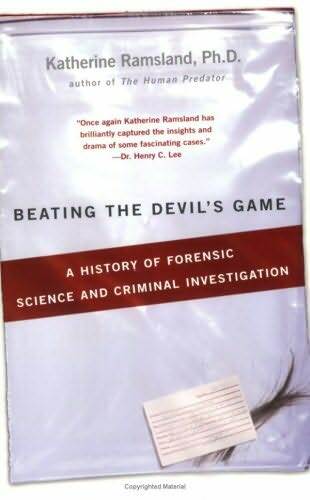 Just a quick note about Katherine Ramsland. I have a special love for Ms. Ramsland because she has written extensively about one of my favorite authors, Anne Rice. Books about Anne (or referring to Anne's body of work) include: Prism of the Night: A Biography of Anne Rice, The Anne Rice Trivia Book, The Vampire Companion: The Official Guide to Anne Rice's the Vampire Chronicles, and The Witches' Companion: The Official Guide to Anne Rice's Lives of the Mayfair Witches. Juliet. She’s one-half of the world’s most famous couple, whose enduring legend draws millions of visitors to Verona every year. But that’s only part of the story. 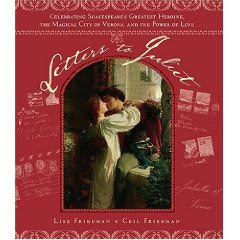 Since the 1930s, Juliet has received an untold number of letters from writers all over the world. Most of the missives talk of love, of course—love found and love lost, love sought and love remembered. They may be written by teenagers in the throes of a first crush or struggling with parental censure. They may be from adults celebrating a hard-won love or wrestling with commitment. They come by the truckload, in almost every imaginable language—composed on ornate stationery, scrawled on loose-leaf, or scribbled on whatever scraps were handy. Frequently addressed simply, “Juliet, Verona,” all of these letters reach their destination and, amazingly enough, all of them receive an answer. Note: I thought this book was the neatest concept. It even has an envelope pasted in the back with an envelope and a pretty piece of stationery for the reader to write and send their own letter to Juliet! Don't forget to check out my new Christmas blog, The Christmas Spirit, here and read my interview with Frank Beddor and enter my giveaway of Arch Enemy here. What a great variety of books you got this week! Interesting mailbox this week! 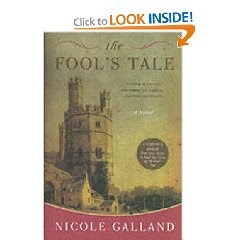 The Fool's Tale looks really good! Enjoy! Sorry, my comment posted twice for some reason, so I deleted the duplicate. BTW, love the holiday design! Don't you love The Dollar Tree, you can find some wonderful books there. Yes, Ryan...I LOVE the Dollar Tree! Deb, I was picked as one of the winners for the Lateiner Gang's mega contest...woot! I had no idea there was a book, Letters to Juliet -- we just saw a preview for the movie over the weekend. Looks really good!